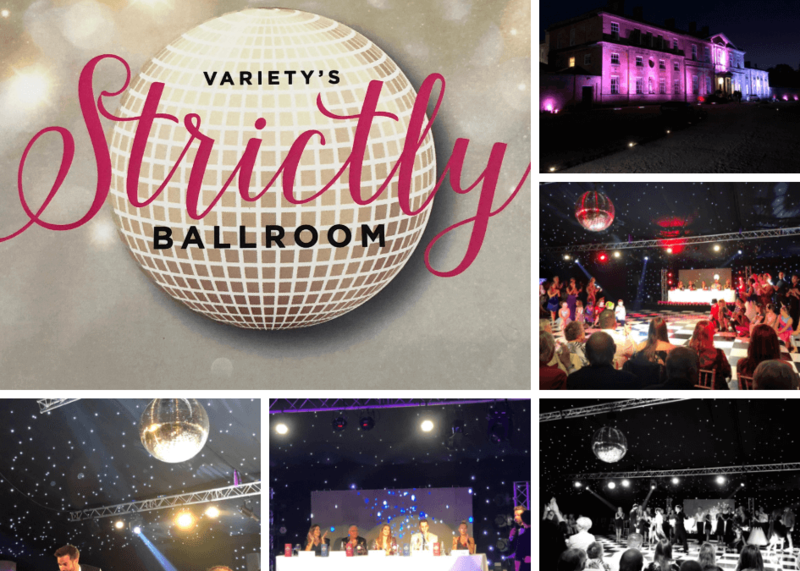 Invalesco were thrilled to attend the Strictly Ballroom event hosted by Variety, the Children’s Charity at Bowcliffe Hall in Bramham, Wetherby on Wednesday 10th October 2018. The night was full of glitz and glamour raising funds for children all over the UK who have to cope with sickness, disability or disadvantage. In the run up to the event, a total of 11 very brave competitors gave up their time to hone their dance skills, and perfect routines with the expert guidance of their professional dance partners. They showcased a number of show stoppers from the Cha Cha Cha, Lindy Hop, Tango, Salsa, to the Rumba and everything in-between! Chloe Hewitt, Latin dance champion and the youngest female professional on BBC One’s ‘Strictly Come Dancing’. Ian Banham, Choreographer and creative from ‘Dancing with the Stars’, BBC One’s ‘So You Think You Can Dance’ and ITV’s ‘Dancing on Ice’. Emmerdale’s beloved Gaynor Faye who brought her experience to the panel from being a contestant in ITV’s ‘Dancing on Ice’ in 2006 where, alongside professional skater Daniel Whiston, on 4 March 2006, Gaynor was crowned the inaugural ‘Dancing on Ice’ champion. Jemma Girling, former Open Latin American Champion in both Canada and France and ranked in the top four in the UK. Ian Short, amateur dancer and a competitor of Variety’s Strictly Ballroom 2017 where he wowed the audience and was crowned champion of both the ‘Judges Award’ and the ‘Audience Award’. With the wit and comedy timing of Gethin Jones presenting the evening, fun was had by all. Gethin was, of course, uniquely qualified to preside over the dance extravaganza having made the semi-final of BBC One’s ‘Strictly Come Dancing’ in 2007 . The audience were even treated to some dance moves from the Presenter himself with some audience participation in a Cha Cha Cha expertly led by one of the evening’s professional dancers, Oliva Oates. Congratulations to the victors of the ‘Judges Award’, Hannah Thurston and Christopher Robinson with their beautiful waltz and also to Nicola McNally and Adam Godfrey who took away the coveted ‘Audience Award’ for their mesmerising American Smooth. So, what was the verdict? Having been put through their paces – would they dance again? It was lovely to hear that most competitors would not be hanging up their dancing shoes just yet! The evening was all in aid of the vital support that Variety provides to children, young people and their families across the region. Variety is a grant giving organisation raising funds for sick, disabled and underprivileged children across the country and events such as Variety’s Strictly Ballroom really help the charity to raise all important funds for the invaluable assistance the charity provides to help those in desperate need across Yorkshire. Well done to all involved from Invalesco!